Shalom Young Judaea! My name is Eitan Weinkle and I am ecstatic to be serving as your National Mazkir for 2019-2020. I am 16 years old and from Pittsburgh, Pennsylvania. My experience with Young Judaea started in 2011 when I first attended year-round events and Camp Young Judaea Midwest. 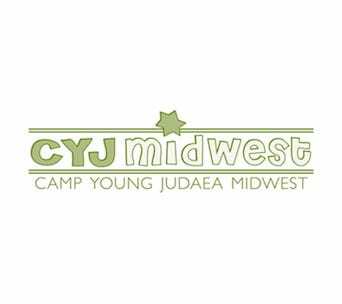 I attended CYJ Midwest for six years from 2011 to 2016 and most recently attended Camp Tel Yehudah for two years. This summer I am thrilled to be participating in CYJ Midwest’s new Counselor in Training program. I also have a great passion for year-round Young Judaea. I have served on the va’ad of Pittsburgh Young Judaea bogrim since 2016, and I am currently the Midwest Social Action Programmer. Outside of Young Judaea I also stay very active in my community. One way I stay active is through music. At my school, I am in the concert choir and started our school’s chamber choir. I also participate in HaZamir, an international Jewish choir, every Sunday at my JCC. Israel has also played a huge role in my life as a Jew and as a Judaean. I first visited Israel when I was six years old and have been back multiple times since then. I am excited to experience Israel in more depth on Young Judaea’s Year Course. This coming year my biggest goal is to ensure that our movement has strong roots and is able to sustain recent growth. 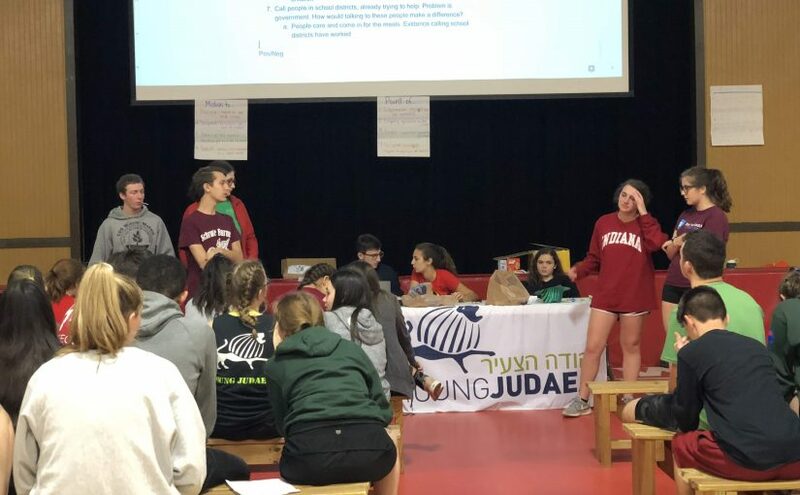 In order to do so, I plan to re-implement the club mentality with frequent programming in cities to make sure Young Judaea continues to grow. After High School, I plan to study Political Science. Young Judaea has given me multiple opportunities to advocate for change. For instance in Hadracha at TY this past summer, where I advocated for contemporary immigration issues. I also attended the Schusterman Advocacy Summit with AIPAC where I got to advocate for Israel. These experiences have given me a passion for creating social change which is why I want to pursue a career in policy. Something that I bring to this Mazkirut is experience and determination. 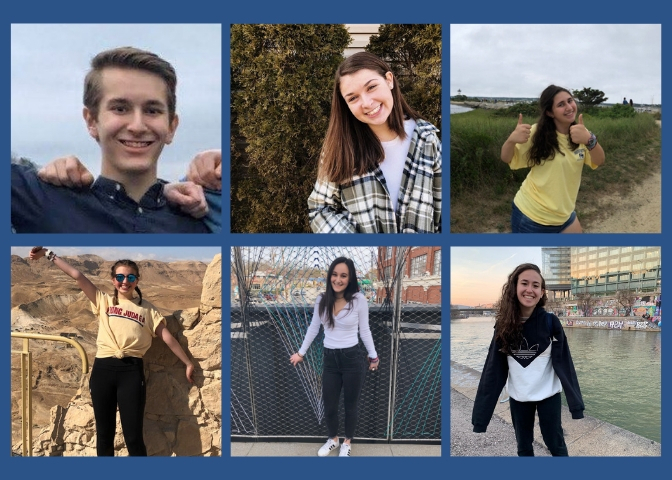 I have been a part of leadership in Young Judaea for many years now, the skills I’ve gained from my experience will help me motivate the mazkirut and turn ideas into action. I keep myself and others on track by setting goals and constantly updating them. I know that this is going to be an incredible year for Young Judaea, and I can’t wait to see where this Mazkirut can take us! Shalom Young Judaea! My name is Hannah Slavsky, I am 16 years old and I am from Plainview, NY. I am extremely proud to serve as your National Administrative Vice President (AVP) for the 2019-2020 year. I have been a part of Young Judaea and grown up with the movement from a young age. 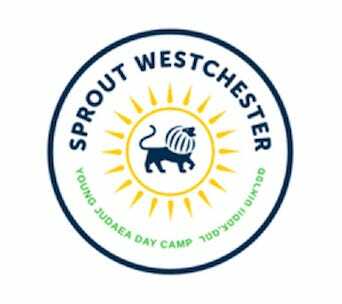 I attended Camp Young Judaea Sprout Lake for 4 summers, Tel Yehudah for 3 summers and participated in CYJ Sprout Lake’s Hadracha Plus Program. I am also currently serving as the Long Island New York City (LINYC) AVP. 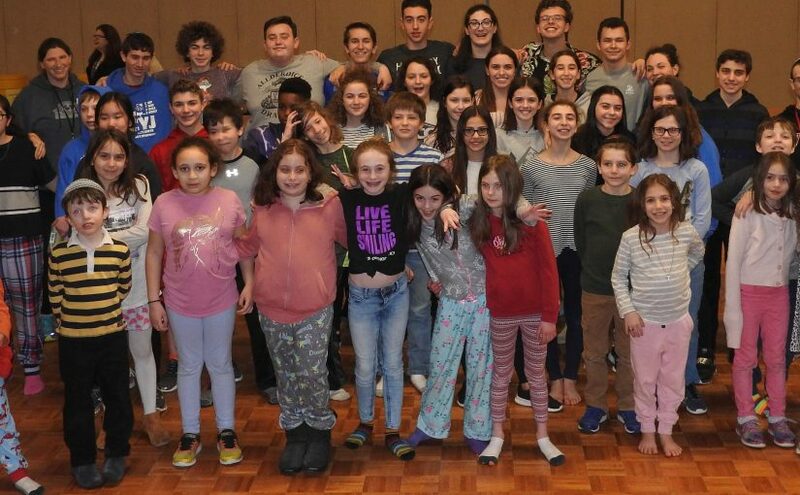 In my home community, I belong to Midway Jewish Center, where I attend a variety of youth programs and volunteer as a madricha in the religious school. Israel plays a great role in my life. My connection to Israel leads me to many other opportunities to work with my Jewish community to help Israel in any way possible. This is why I recently started a campaign at my synagogue to help raise money for Israel’s Fire Brigade. This community-wide goal is a way to link my community and the Jewish homeland together. This allows us to work towards a goal that will benefit Israel and help the Israeli Firefighters perform their jobs well. I have several experiences within Young Judaea that have impacted my life for the better. 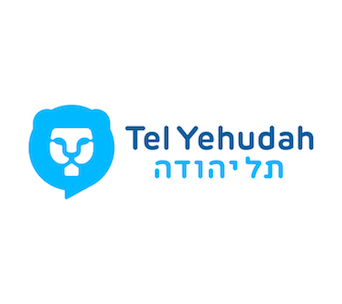 This past summer, I participated in Camp Tel Yehudah’s leadership program, Hadracha. My favorite part of the entire session was working in the women’s rights tikkun group. We spent our summer learning about the issues throughout the world regarding women’s health and rights in general. Lobbying on Capitol Hill and visiting members of Congress was truly life changing. This trip highlighted the fact that everyone has a voice and has a chance to make a change in the world. Another amazing experience I had was this past December on Young Judaea’s Alternative Winter Break (AWB) in Puerto Rico. This trip made me feel extremely grateful to experience Puerto Rico through a tikkun olam lens. I was thrilled to take part in several different types of community service to help the country rebuild after Hurricane Maria. My goal this year is to help Young Judaea continue to grow and spread across the country. I plan to do so by working with my regional counterparts to create a resource guide that will consist of several JCCs, synagogues and schools around the country to hold events. This way, each region can have their events in new locations to make each event diverse and unique. Additionally, I hope to run a thought-provoking and well-attended National Convention in February. I also plan to strengthen the outreach va’adot so that more Jewish teens hear about the opportunities in year-round YJ. Lastly, I hope to provide everyone with awesome merchandise so that everyone can proudly represent YJ year-round. A unique skill I plan to bring to the mazkirut is my passion. I also have the ability to work extremely hard and get the job done! I am very efficient and I will communicate with the rest of the mazkirut to make sure all tasks are being completed accordingly. I look forward to an amazing year of fun and learning with the rest of the National Mazkirut. 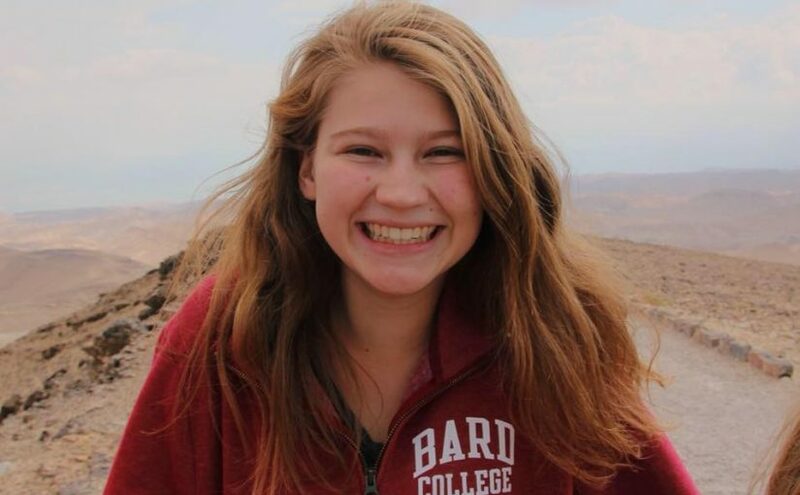 My name is Jess Siegal, I am 16 years old, I am from Needham, MA, and I am SO excited to be serving as National Bogrim Programmer for the 2019-2020 year! I am a second generation Judaean, and Young Judaea has always been a huge aspect of my life and identity. 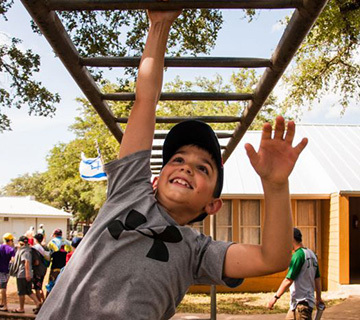 I went to CYJ Texas for 6 summers and Camp Tel Yehudah for 2 summers. In regards to year-round, I led the revival of New England YJ and served as the Mazkira of New England when we formed a regional Mazkirut for the 2018-19 year. I attended Jewish day school from kindergarten through eighth grade, and now go to public high school. 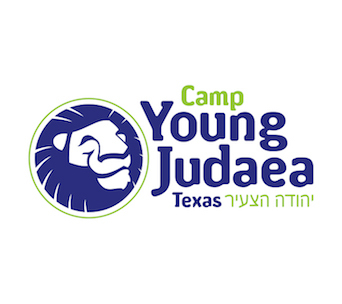 During the school year, Young Judaea is my main connection to my Jewish identity. I try to go to as many YJ events and conventions as I can because I love the clear passion, happiness, and ruach that YJ fosters in its chanichim. I spent this past summer at TY in the Hadracha program and it was the best summer of my life. Hadracha taught me how to effectively lead others and in doing so, I learned a lot about myself. I especially enjoyed the trip to DC and lobbying for women’s rights. Taking the time to research an issue I am passionate about and using my knowledge to speak my mind encouraged me to be more confident in my ideas and opinions. The trip was an amazing chance for me to use my voice to make a difference. So far, I have been to Israel twice: once for a cousin’s bar mitzvah and once with my eighth grade class. On both of those trips, I felt a deep connection to the country and fell in love with its illustrious history and culture. I plan to continue to explore Israel this upcoming summer on Machon and on Year Course 2020-2021! Education is incredibly important to me, and I believe that it is a critical aspect of YJ, as well as Judaism as a whole. The position of BP focuses on teen programming, and I aim to act as a support system for all regional programmers to ensure the strongest results from teen leaders across the nation. I will use my experience in New England to establish workshops and resources for other teens in similar positions, but shift the focus to writing and leading programs and thought-provoking discussions. Finally, I plan to refocus Israel education and write effective programs about the country I have come to know and love. Other than Year Course, I am not entirely sure of what I want to pursue after high school. As of now, I want to minor in Political Science but my major is still up in the air. I hope to bring my positive energy and organizational skills to Maz, and I am so excited to see what this year brings! Shalom Young Judaea! My name is Nikki Lerner, I’m from Westchester, New York, and I am thrilled to say that I will be serving as National Ofarim-Tsofim programmer for the 2019-2020 year! 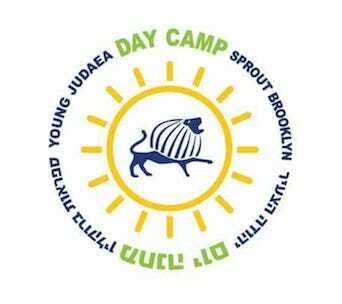 I went to Camp Sprout Lake for five years and three years at Tel Yehudah, including Hadracha plus at Sprout. Besides camp, my YJ experience has also consisted of my two terms as Empire’s Ofarim Tsofim programmer beginning in 2017. Since I’m a very community-oriented person, Young Judaea has always played a crucial role in my life. Because of how much I had learned about Israel through YJ, I had always had a connection to Israel. It wasn’t until the first time I visited in 2018 that I finally got to experience this beautiful spiritual place for myself. After graduating high school, I plan on attending Year Course 2020-21. After Year Course, I want to study Art History in college as I think art has played such a crucial role in society. I had the privilege of visiting the Jewish Museum in Manhattan and looking at modern art from Jewish artists of different backgrounds. The recurring theme in the exhibition was about the Jewish experience today, and I believe that this is why art is important; we can share our experience as Jews and learn from others. Being National OTP is an incredibly big deal for me and I plan to honor this important position through all the goals I have for this coming year. First, I plan on working with junior camps on improving our outreach methods since it has been a problem for many regional OTPs in the past to get kids to come to events. I also want to do more events in partnership with junior camps in different regions so that kids can be in a familiar setting and ease into year-round YJ. My last goal is to keep in touch with my counterparts and make sure regional OT programming is running smoothly. I believe getting OTs involved should be our priority as they will be the ones to continue the YJ legacy after we’re gone. My name is Sara Saidel. I am 16 years old, I live in Overland Park, Kansas, and I am incredibly excited to serve as the National Social Action Programmer! Young Judaea has been a part of my life for as long as I can remember. As a third generation Young Judaean, being part of YJ was in my blood, and going to a YJ camp was a given. I am so thankful it was. 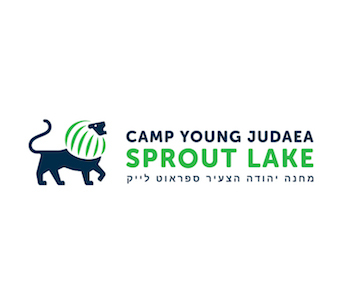 I started attending Camp Young Judaea Sprout Lake in 2010 for six summers, went to Tel-Yehudah for five sessions, and spent my last summer back at Sprout Lake in the Hadracha Plus leadership program. While unfortunately I have never had the experience of being a on regional mazkirut because of where I live, that is not to say Young Judaea hasn’t impacted me, and continues to impact me every day. All five of Young Judaea’s pillars are near and dear to my heart, but ever since I started attending Sprout at age 7, the pillar that stuck with me the most is tikun olam. To me this means standing up for my beliefs in the form of activism. This movement has been part of so much progressive action throughout history and has not ceased to spread this message for the 110 years YJ has been active. One way YJ spread this message to me was through tikkun groups during the Hadracha program at Tel-Yehudah. This program allowed me and my group to do in-depth research about a global issue of our choosing (I chose the human-trafficking crisis) then go to D.C. and advocate for it with big-time organizations and politicians. This experience made me realize that I want to dedicate my life to social action and tikkun olam. Young Judaea has given me a truly unique relationship with Israel. I have been there once when I was younger, and have lots of family there, but I often struggle with understanding where I stand on many of the issues surrounding the land. 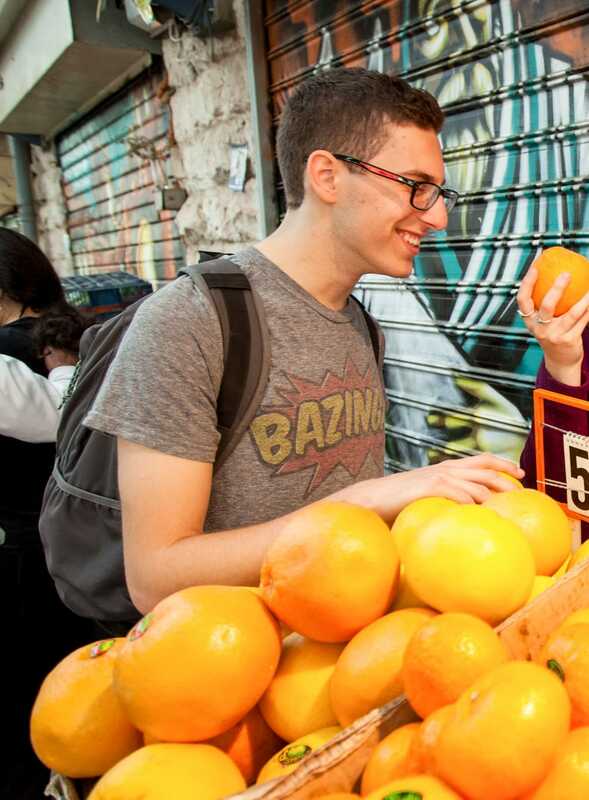 Young Judaea has helped me feel connected to the beautiful country as a Jew and as a Zionist, and taught me to love the diverse culture unique to it. However, YJ has also always encouraged me to learn as much as I can, and to form my own opinions about Israel. I continue to try to educate myself on Israel every day by keeping up with Israeli news! After high school I plan on studying International Relations so I can dedicate my career to helping those who are suffering from injustice all around the world. I would also like to learn more, and focus on the global human-trafficking crisis. I have many goals next year. My biggest goal is to bridge tikkun groups to year-round programming. I would also like to give social action a much larger visibility on YJ social media, and incorporate our new national initiative, Environmentalism, by having a recycling program implemented at all events, and dedicate national social action days to environment-themed programs! (These are programs when all regions complete the same social action program on the same day.) I will bring experience I have from my community in program planning, communication, and teamwork to the National Maz, as well of my enthusiasm, positivity, and passion! Shalom Young Judaea! My name is Gabby Rub and I am 16 years old from Westchester, NY and I am honored to be your National Pirsum 2019-2020. For as long as I can remember, Young Judaea has been a part of my life. From the first time I entered the YJ bubble at Fall Camp back in 2011, I knew that I wanted to be apart of this amazing organization. And so I began to become more involved in the place I now consider my home. I was a camper at Sprout Lake for 4 years, Tel Yehudah for 3 and also participated in the Hadracha Plus program at Sprout. I also held the position of Pirsum and Social Action Programmer on Empire YJ. Having attended countless YJ events and conventions, I’ve been able to see the movement grow and succeed. My love for Israel has always been part of my identity, but my connection has been strengthened by YJ. My father is Israeli, and moved to America when he was a child. My mom went to the University of Jerusalem, where she was able to study what she loved in a place that she loved. In YJ, I was able to find my connection to the beautiful homeland of the Jewish People, and hope to strengthen it even more if I am able to attend Year Course 2020/2021. In college, I am not quite sure what I want to study but I’m considering psychology or business. These areas of study help me see the world in a different way than just mathematical equations and scientific forums, and I am able to think in a deeper way – a skill that can help me in all aspects of leadership. This year on Maz I plan to focus on enhancing the level of professionalism on YJ’s social media platforms. Whether this be creating a YJ Jingle or having set days where each region knows on what platform they should post, these tips can be used to make our postings as successful as possible. Additionally, our newsletter Kol Hatnua is something I will ensure is working as successfully as possible. Since Kol Hatnua is written by YJ for YJ, we exemplify this motto by highlighting what YJ means to us. Each issue could feature a different region that highlights their events of the year and facts. We can also have different columns, like a “Kef” Column where Judeans can post their wacky ideas/words/images. I hope to increase awareness and readership of Kol Hatnua to ensure the story of YJ is told across the world. For years, I have been anxiously anticipating going on Young Judaea Year Course and taking on an amazing new adventure. Now that I am finally here, it has been more than I could have imagined. From meeting new friends from all around the world, to having fascinating discussions with my peers, to weekend trips around the country, and even just days relaxing on the beach, these past three months have been amazing. Already, this experience has been transformative and one I know will have an impact on the rest of my life. Year course brings together a group of people from different backgrounds and gives them the opportunity to learn from each other and their greater community. By providing each participant with classes, volunteer placements, chances to visit different groups from across the country, and free time to explore on their own, it opens up each person’s mind to new points of view and opinions. Not only this, but people from different countries, including scouts from Israel and an FZY delegation from England, are all living in one building and sharing their different cultures. 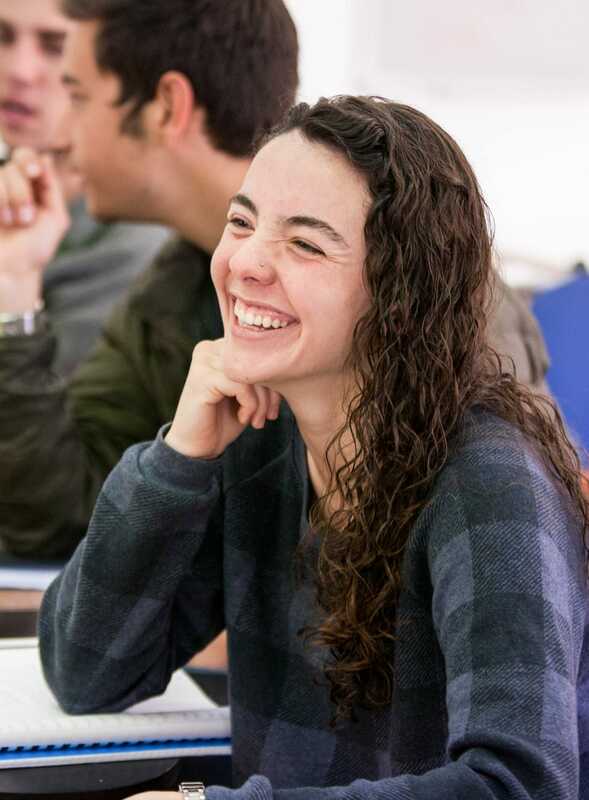 One of the most remarkable things about Year Course is that it is a place where people are both learning to grow up and are learning from the new people and places around them. This mix of education means it is not an unusual sight to find people discussing their views on different important topics at the kitchen table at midnight while their grilled cheese is cooking. So far, my most significant experience has been my volunteer placement at UNITAF, a daycare for children of refugees who do not have Israeli status. Being exposed to a new community of people who are working to survive in a country that they did not originate from has had a large impact on my Israel experience. Being surrounded by teachers who are passionately working to help kids and families has taught me so much about giving back to both your own community, and others in need. Everything I have done thus far has shown me different sides of Israeli culture, something I could not have experienced on any other program, and I am so excited to see what the next six months will have in store. As someone who has been a part of Young Judaea for a long time, voting had always been something I looked forward to. 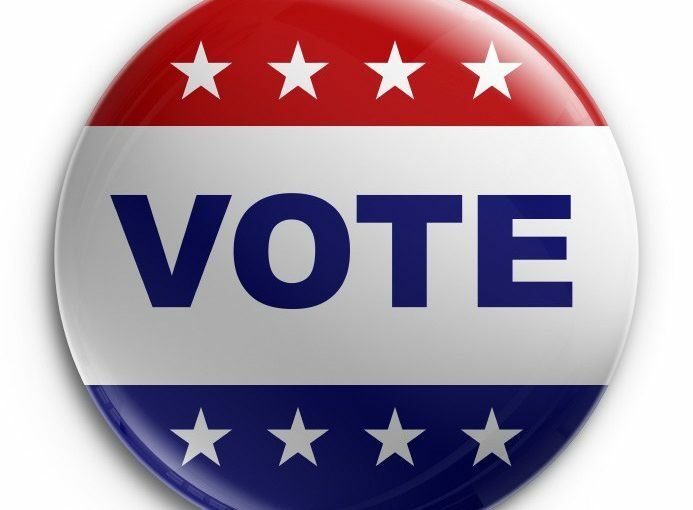 From learning about the importance of the State of Israel from Camp Judaea as a kid to my experience in DC on the Hadracha Program at Camp Tel Yehudah, I had been raised to comprehend the power one vote can have in an election. It was Young Judaea that inspired me to become politically active: taking part in AIPAC summits and lobbying my representatives in favor of Israel and even volunteering for a local congressional candidate’s campaign. Before I went out to vote, I spent a long time researching candidates and their positions, including watching local debates and comparing them to my stances. I live in the Ninth Congressional District of North Carolina, a highly contested district which was considered up for grabs by polls and political pundits. Through the leadership experience and knowledge, I had received from attending YJ summer camps, I established where I stood on the candidates and the constitutional amendments up for referendum. I reached out to other young people who were first-time voters and friends and acquaintances of my parents, letting them know the importance to vote as well as explaining to them who I was voting for and why. On Saturday, November 3rd, I went and I voted early. Though the process was simple and quick, I walked out feeling like I had made an impact on the future of our country. Days later on election day, I watched the results come in from the news, and I followed my district’s congressional races closely. Knowing that one of those ballots counted was mine gave me a sense of empowerment. It was through Young Judaea that I became interested and educated on the issues facing our country and the Jewish state. YJ also gave me the opportunity to live in a pluralistic environment where I could hear many different opinions and ideas. This year, as I turned 18 in August, was the first time I was eligible to vote in the Texas 2018 midterms. Living in Austin, a very liberal city, voting craze was rampant. Everyone at my school was urging any person eligible to vote. The younger students were handing out voting guides so that we would know who we would want to vote for. On the second-to-last day of early voting, my music teacher took me and several students to a nearby voting station during lunch. I was in and out within 30 minutes. My friends on the other hand, took about 10 minutes longer, as they were more thorough. My music teacher texted our teacher to ask if it was okay that we were gonna be late. Our teacher responded, “Of course, we need more people going to the polls”. Even though I am disappointed that Beto O’Rourke lost the election, I am hopeful for the future of our state and country. According to The Medium, the early voting rate among 18-29 year-olds in Texas increased by nearly five times compared to 2014 midterms. This high level of young voter engagement excites me and my friends about the 2020 elections! Anti-semitism is on the rise, racism is on the rise, hate is on the rise. Every hour in the United States a hate crime is committed. Someone who is full of hatred isn’t going to stop because of laws or armed guards. They will stop because of love and civic engagement. The people of the Young Judaea community and the people of the world need to unite to stop all the blinding hate. We need civic engagement. Civic engagement is “working to make a difference in the civic life of our communities and developing the combination of knowledge, skills, values and motivation to make that difference. It means promoting the quality of life in a community, through both political and non-political processes”. Civic engagement leads to change. Only we can vote a change, make a change and be the change we want to see. It all starts in your local community. You have to take action if you want to see change. There are so many opportunities in every community for volunteerism or political participation. Communities need people to be more active. Volunteering has the power to transform communities and improve lives. Civic engagement is a tool which we can use to better the next generations. By teaching them to take direct action, be politically involved and volunteer they can develop the skills and confidence to better society. People who participate in civic engagement are healthier, wealthier and more satisfied with their lives. Every community is plagued with issues that can be solved. Many times people are unaware of the severity of the problems. If you educate or campaign about the issue then it would be almost impossible for people to be unaware. To be more involved in your communities all you have to do is go to your town website to find more information. 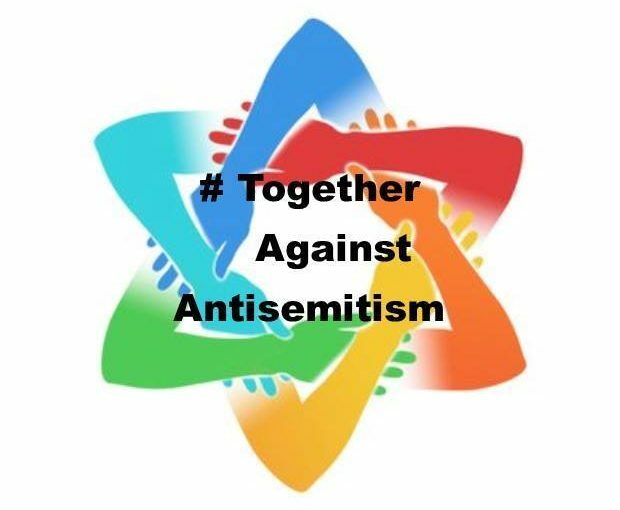 If you want to see a decrease in anti-semitism make it happen through civic engagement. People need to be educated not to hate and your community is the perfect place to start. You can make advertisements and post them around the community, create a program to be held at local schools, start a social media campaign, or become more politically active by joining a campaign or starting your own. Next Tuesday is the perfect opportunity for you to start making and seeing the change you want. Don’t forget to go out and vote! This convention was not my first. It was certainly not the first I attended, and not the first I helped plan. However, the experience of devoting over three months to developing an idea into a weekend was significantly different. From the beginning of the year, National Maz spent hours discussing what was crucial to Young Judaea as a movement. What was worth our limited time? It was incredible to see the abstract ideas we had discussed on way-too-long maz calls and random-confusing-brainstorm-documents come to life. Through analyzing our personal identities in different situations to questioning how Young Judaea identifies as Zionist and Pluralist today, we discussed small details and looked at the big picture. We were incredibly reflective as a convention when tackling questions of compromise and biases. Describing the success and excitement of those specific moments, however, does not do justice to the most significant part: the atmosphere. Convention felt wholesome. I believe we embodied the theme in many ways. We worked to cultivate a cohesive collaborative community, and I would like to thank everyone for contributing to accomplishing that. Participation in peulot and discussion groups reminded me why I love Young Judaea: because it is a concentration of people ready to learn, engage, and tackle the difficult complex questions. Young Judaea is a place where I truly find my people in a welcoming, supporting space. I can only describe the feeling I get from YJ with one word: community. It was fitting to me that the theme for National Midwinter Convention was cultivating community. From the minute that the theme was introduced to the convention body, I felt an immediate connection to it. Being from North Carolina where there is no YJ club, I don’t get the opportunity to participate in year-round very often. Convention is the one place where I feel that special sense of community. I was extremely excited to get to spend a weekend dedicating my time to learning how to cultivate a community. Each peulah throughout the weekend was attached to this theme. One peulah in particular stuck with me. The activity was a simulated murder mystery at Kibbutz Ketura. After learning a little bit about the history and life on the kibbutz, we were divided into roles (some fictional and some real) and worked to solve the “murder.” A kibbutz is a unique community and in simulating that community, it was clear how much everyone relies on each other and how a single problem can affect the whole group. I immediately felt a difference in the energy of the room as soon as the “murder” was announced. In addition to the really fun social aspect of the peulah, our sicha afterward helped me understand the value of living in a kibbutz community. Convention also helped me cultivate a community between participants. 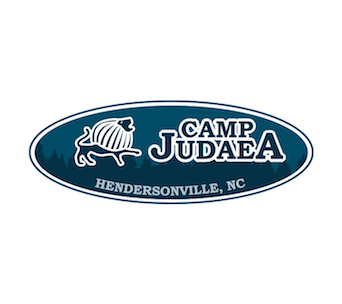 I grew up going to Camp Judaea and attended Tel Yehudah for the first time this summer. I had a lot of friends going to convention that hadn’t gone to TY and a lot of friends that had. With different junior camp experiences and living in different places, my friends didn’t know each other. It was really meaningful to see all of the people that had played such big parts in my YJ experiences come together as one group. Convention and the theme of community demonstrated how relevant and significant building community is in our world today. We don’t always realize the ways that we cultivate communities everyday, but it is important to learn the skills in order to do so. National Midwinter convention was such an amazing experience, especially because of the theme, and I can’t wait to be there next year!